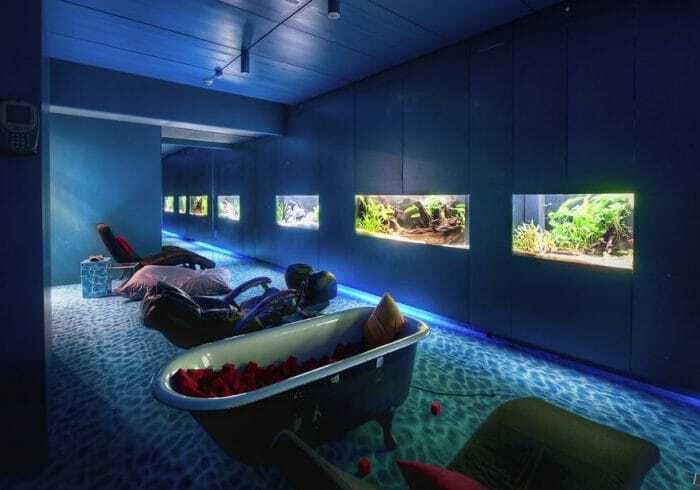 What’s the primary room in every household where the whole family can sit back and relax? The trusted room that everyone after a long, hard day at work can simply unwind, put your feet up and grab a favourite book, watch a movie or simply socialise? That’s right, it’s the living area… or front-room, living-room, lounge whatever you choose to call it, it’s the space we all associate with tranquillity and comfort, a room that we can truly make our own. Nothing quite beats a tidy, organised and peaceful living area - check out some wonderful preparation tips here. so keep that in mind when designing or decorating your front room and be sure to make changes that work for the full family. Having the layout organised with furniture and decor placed practically so this haven is inviting for everyone in your family home. 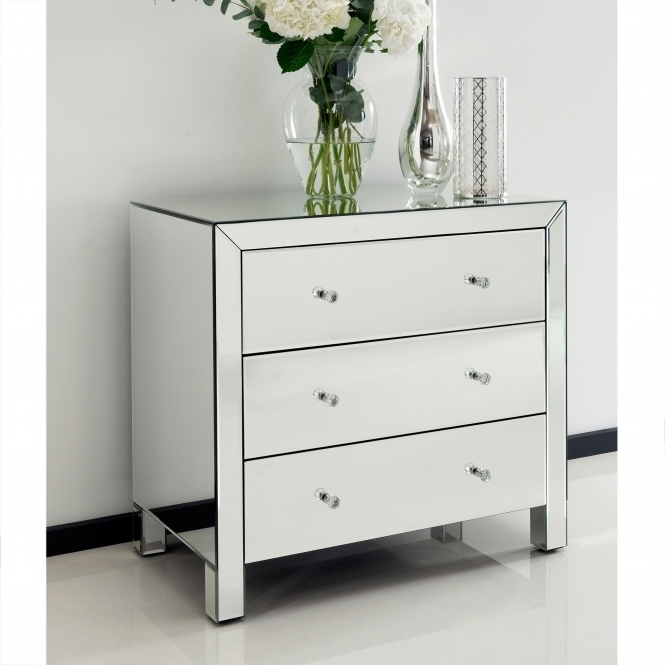 For the modern and contemporary lover, mirrored furniture might just be the perfect furniture piece for you. 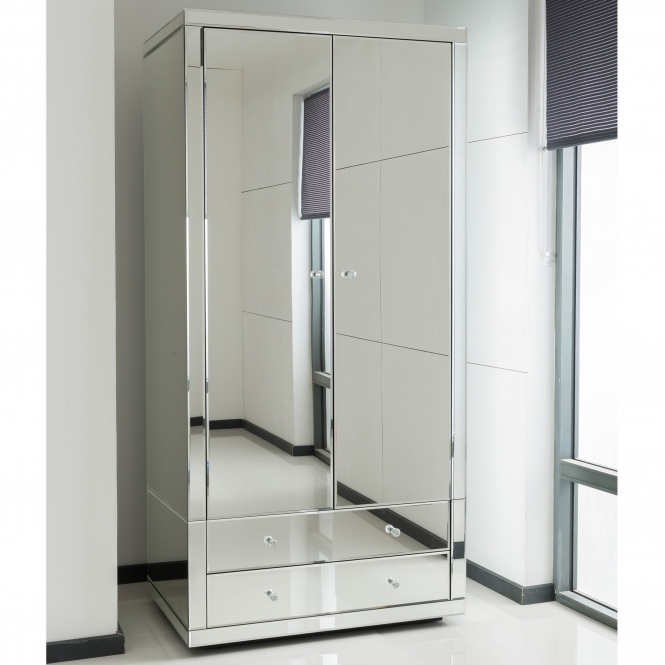 Not only is it very sleek and crisp looking with clean cut glass mirrored panels, but it is ideal for giving the appearance for a bigger and brighter room – perfect to unlock the potential of a small living area. 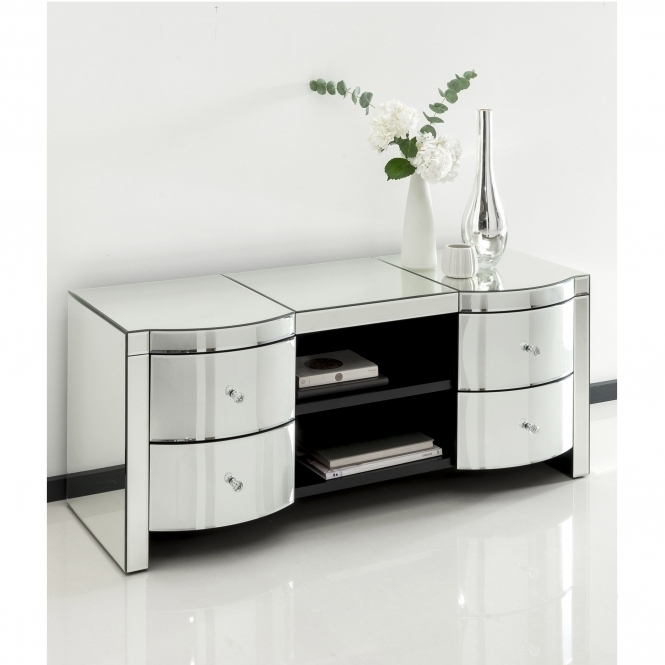 From mirrored side tables to nest of tables, the designs are endless but be sure to have a look at mirrored TV cabinets from Homesdirect365, which are hugely in fashion now, with a nice selection of designs available; you can opt for it placed in the corner or right in the middle of your living room as a gorgeous focal point. In the past, the famous trend was keeping it neutral. This trend can still be applied today to achieving a blank canvas or when looking for a minimalist appeal, however for a bit of personality, don’t be afraid of colours. A popular colour scheme is to have the feature wall in your living room and upholstery the same colour; this can provide a matching harmony. Go for colours such as turquoise, deep red, or a plum scheme for the colder winter months to help achieve a warming and cosy setting. For the summer, opt for a light sky blue or pale green. If you are feeling very bold, you could opt to paint all the walls in your living room! Keeping everything the exact same colour can work wonders in some settings, but for most, you will want a bit of contrast. Adding contrast in the form of curtains, lamps or even rugs is a fantastic way to add a touch of your own personal style in any living room setting. 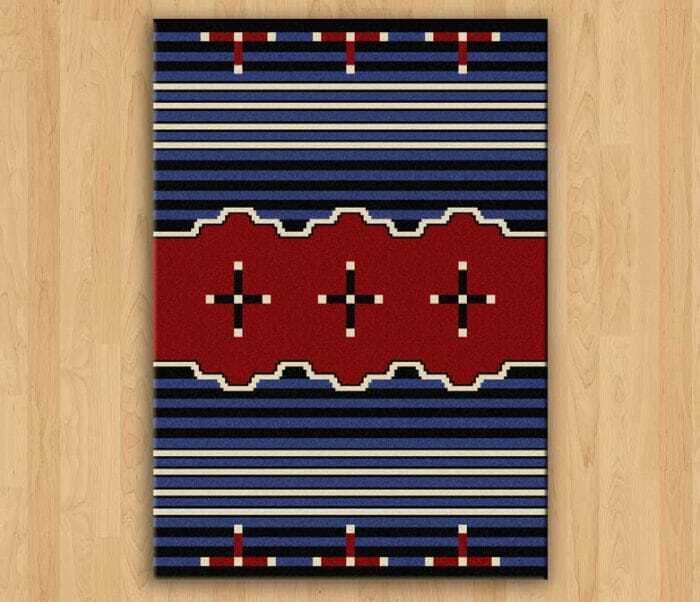 We found some absolutely brilliant Southwestern Native American rugs that are perfect to add a touch of style to your home from South Western Rugs Depot. 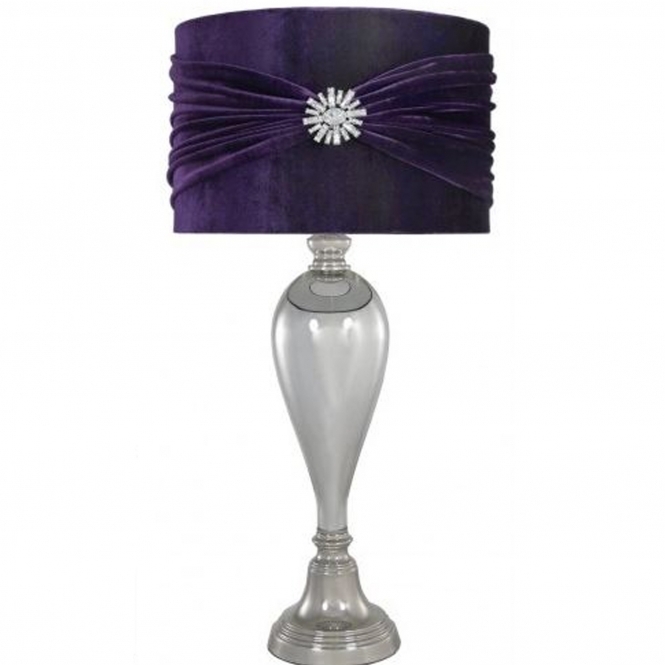 Lamp shades are also a great way of adding to the overall ambience in your living room, for the colder months and darker nights nothing beats a chrome lamp with a deep purple velvet shade, the epitome of cosiness. Last but certainly not least, the finer small home accessories are ideal for adding the finishing touches to any living space. 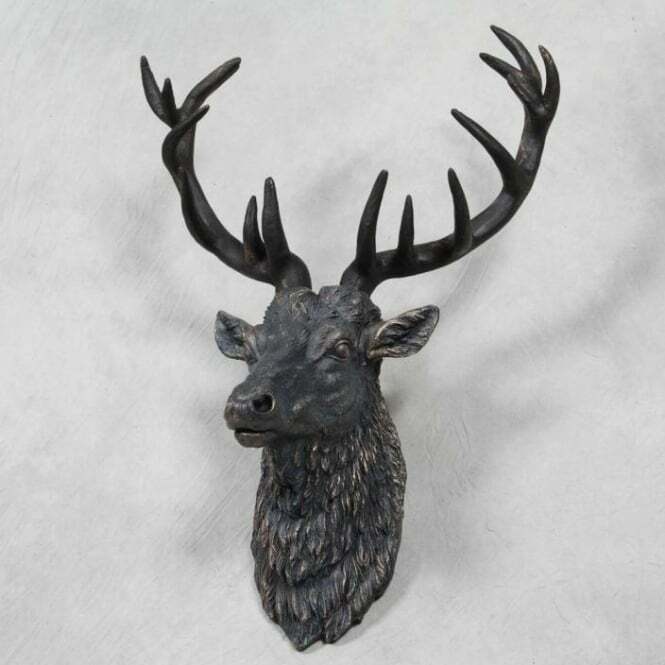 A simple yet absolutely stunning wall head hanging can work wonders to add style and charm in any home interior settings. Let me guess, as a business owner, brightening up your office space is the last thing on your mind. Understandably, we all think that when it comes to office spaces, formal means dull. It is a culture that has been passed down from generation to generation. What if I told you that enhancing your office space with bright decor could boost productivity and profitability? That might sound unbelievable, but recent studies show that bright office furnishings improve mood, productivity, and creativity. Let's dive in. 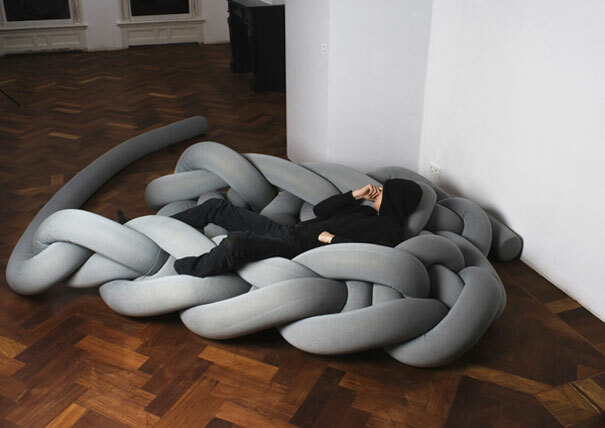 Different designs could make your employees more energetic, relaxed or creative. We ourselves use some of our furniture we have for sale on HomesDirect365 to brighten up the office. Picture this; hospitals always feature green or blue decoration. The secret behind this is that green and blue colours outs people at ease. If your nature of work is high paced as in the case of a newsroom or share trading, having snippets of bright green or blue can alleviate stress and make your employees feel relaxed. You can either install office furniture with green upholstery or repaint the walls or ceiling. Research has been done on this topic and it has been labelled the Dewey Colour System. Have you ever visited an advertisement company? Employees in such a workplace need to have their creative juices continually flowing. If you visit a couple of offices in this niche, you will notice the generous use of red décor. They always have red on their upholstery, walls or flooring. According to psychologists, the red colour spikes up energy and inventiveness. You can copy from that and do the same for your office. But just remember that this colour has to sit in well with the rest of your office design. Do your employees display signs of emotional exhaustion? You will notice symptoms such as forgetfulness, slackness and bad mood. Try using yellow in your office decor. Yellow color brightens up your office space and makes it look beautiful. Buts that's not all, yellow keeps people alert and attentive. Consider using yellow office furniture, including office chairs, desks, and filing cabinets. For a small office, many employees might feel too clustered. But there is a way around this; use bright colours. Bright colours make a little room space look bigger than it is. This might improve the productivity of your employees in the long run. Use light colours for the walls and furniture, and then you can tone it down with shades of black or grey. For instance, if you go with red for office furniture, choose grey for the carpet flooring. Decorating your office space is not only improves productivity, but it can also help you get the right tenants for your additional space. Furnishing is at the heart of every office staging for rental, and many benefits come with it. "For starters, your office space will be able to fetch a higher price in the market. Potential office leasers look to have a comfortable place to work in. By using the right designs of office furniture, lighting, and other accessories, you can transform your dull space into an appealing work space. Also, with proper staging get tenants for your office space fast. You don't have to keep paying a hefty bill for your office when you could lease your additional space. The problem is that office tenants want a vibrant place of work. A work space that could help them achieve profitability in their ventures. Office staging can help you provide such an office space." A pleasant work environment should be the number one objective of all organisations. It is the assured road to productivity and profitability, and you can achieve that with bright office décor. 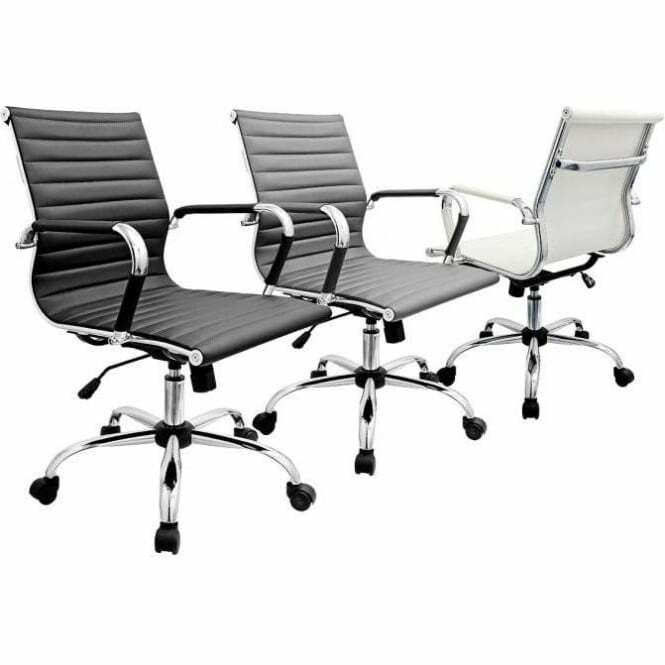 Stunning office chairs with a beautiful ribbed design and shiny chrome frame with gas lift mechanism and castors.Available in a range of black, ivory or grey, ideal for any office, home office, computer room or study. 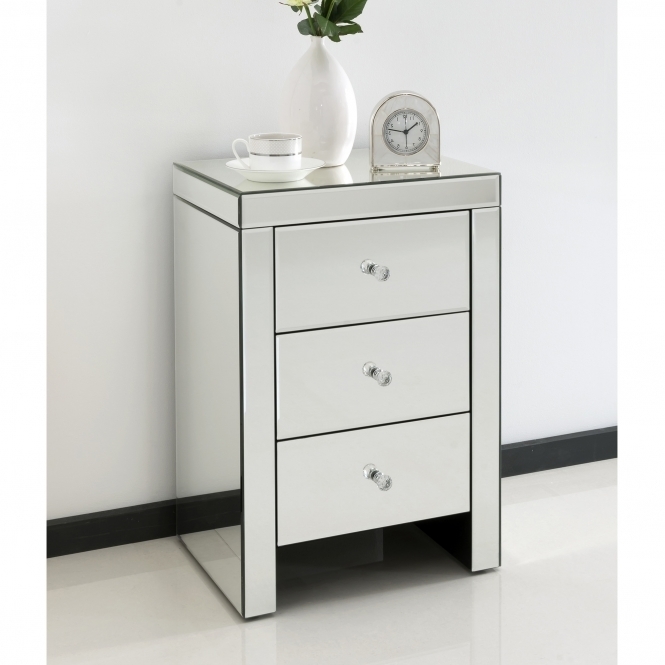 Brighten up your home with our extensive and varied selection of modern and contemporary furniture. 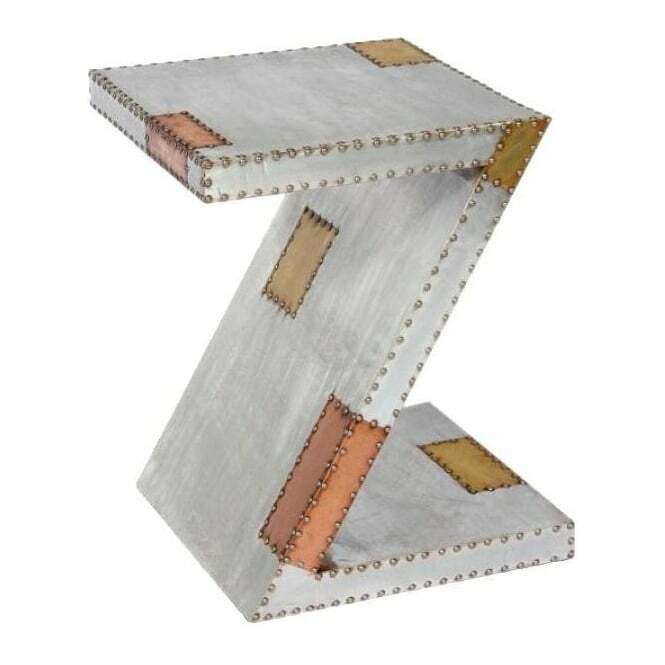 Handcrafted by experts and carefully built using a mixture of aluminium and copper, this table with a 'Z' frame design with astound and sure to become an instant favourite. Complete that look that you desire with our fantastic award winning furniture, and brighten up your home with this stunning Industrial Table featuring two shelves and a fantastic industrial design. 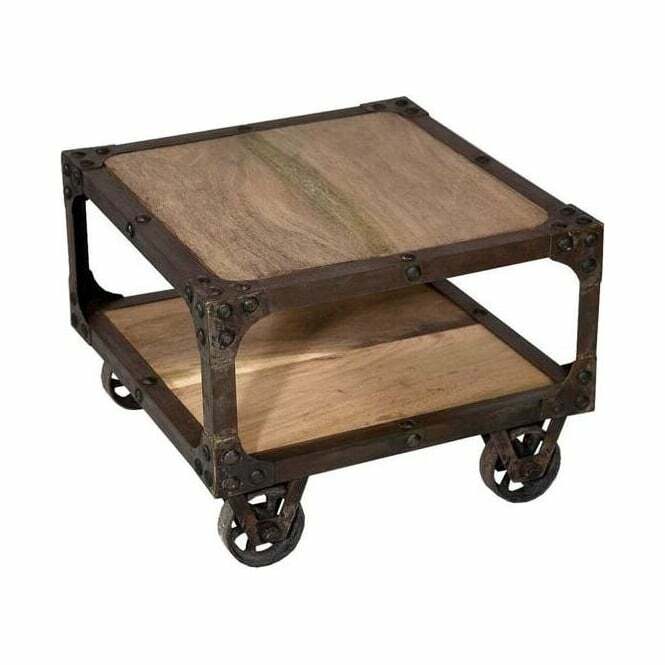 Hand crafted and carefully built to the highest quality, this shabby chic coffee table will be sure to amaze. Working well either on it's own or co-ordinated alongside our stunning antique French furniture. 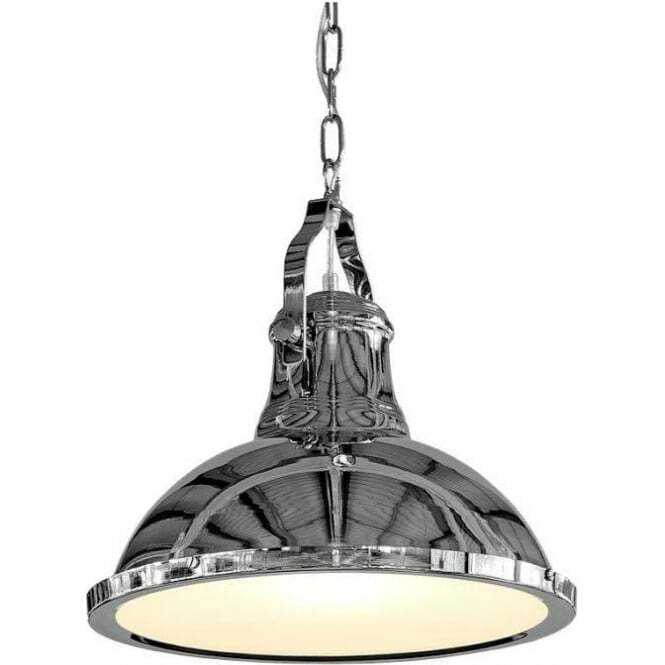 This attractive ceiling light takes its inspiration from industrial light fittings from the mid-century. A chain suspends the fully chromed down-light which has a glass diffuser plate to spread light evenly and to avoid any glare in the eyes. 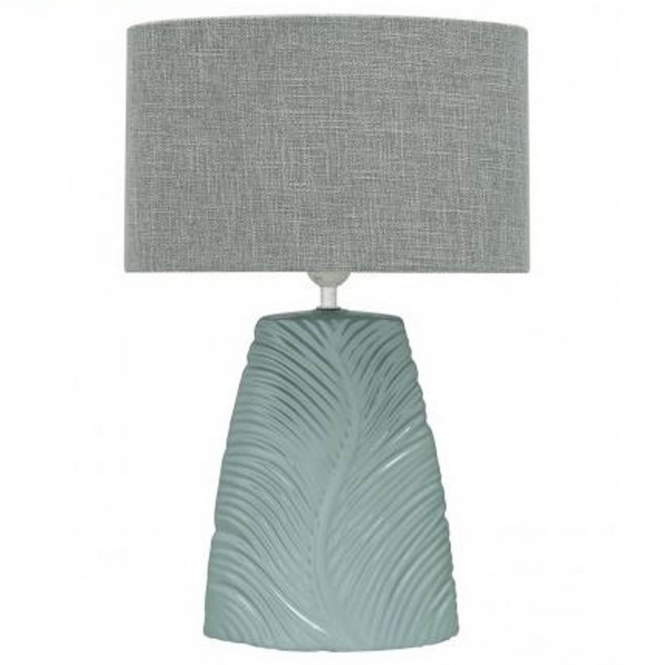 So brighten up your home with this stunning handcrafted ceiling light, sure to become an instant favourite. 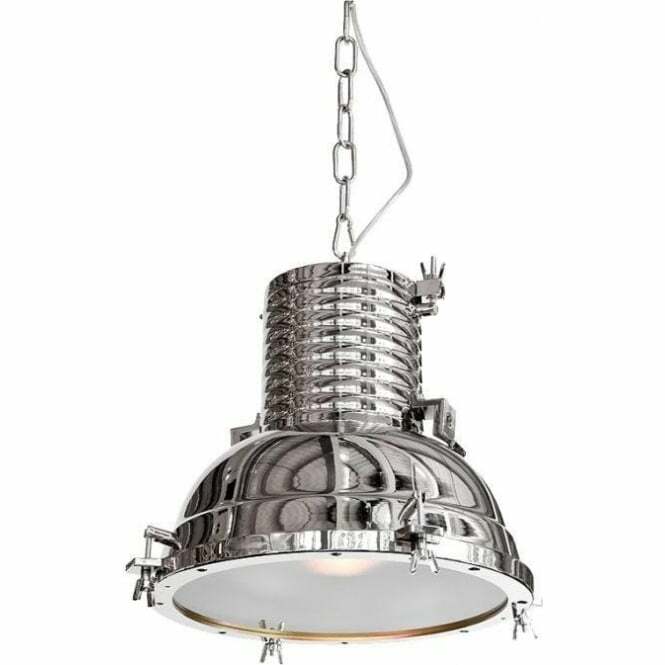 This attractive ceiling light takes its inspiration from industrial light fittings from the mid-century. A chain suspends the fully chromed down-light which has a glass diffuser plate to spread light evenly and to avoid any glare in the eyes. A welcomed addition to our collection of industrial style furniture comes this exquisite and very unique real leather sofa. 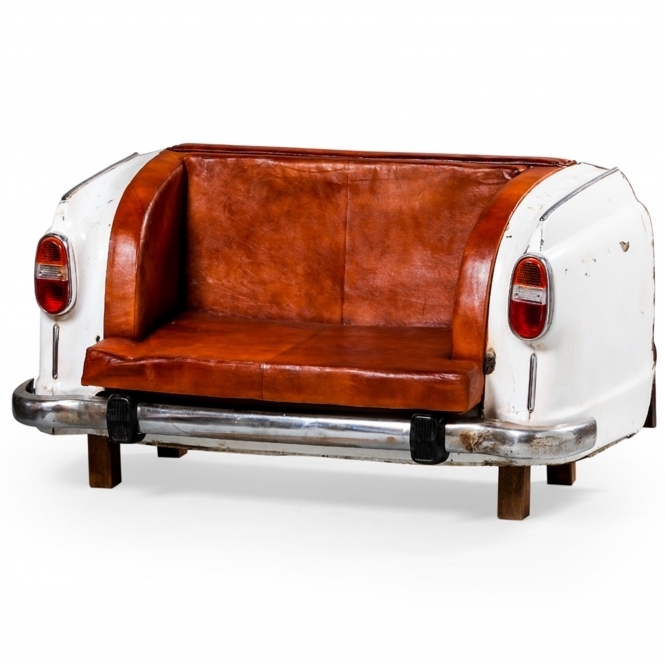 Designed and inspired from the classic retro car, this beautiful sofa featuring real leather seats a chrome bumper and decorative tail lights is sure to astound across generations. Crafted from clear cut glass and designed with ingenuity, the highly popular and sought after Venetian mirrored furniture is the ultimate piece to add modern style to your home today. Before we look at some simply breathtaking pieces such as the indistinguishable Romano crystal collection from Homesdirect365, let’s take a brief look at the history of mirrored furniture and how it originated. About 2,500 years ago, approximately 460bc in the city of Sidon in Lebanon is where the very first mirror originated from, which at that time, the only way to view a clear reflection was in settled or stagnant pools of water. Polished bronze or copper was also seldom used, but the reflection and image given off were in no way clear, it was often very blurry and disproportional due to the surface rarely being flat. Through a process known as glassblowing, the very first mirrors were successfully created. 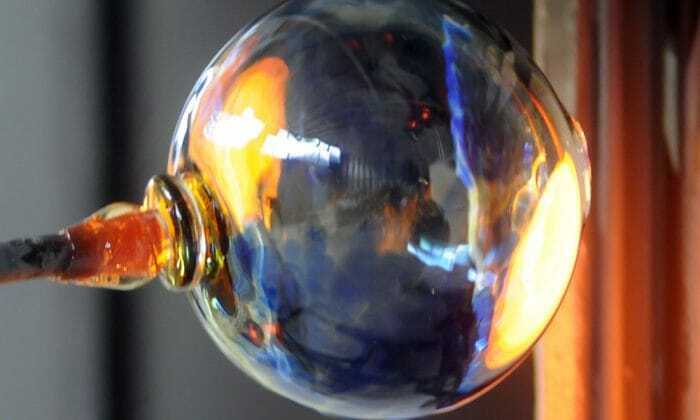 Often used today by artists, glassblowing is simply to blow a small amount of air into a molten blob. Glassblowing first starting in Lebanon by blowing air into a small sphere, once cooled the glass could then be broken into many smooth small pieces which were much clearer than copper or bronze and gave of a clear more true-like reflection. Glass itself isn’t as reflective of today mirrors, so to improve its reflectivity, coating it with metal was an ideal practice. This technique of creating glass and mirrors were extremely popular and spread rapidly through the current reigning Roman empire. Once fully embraced by the Romans, glassblowing became a phenomenon worldwide and developed into mold blowing or what we know today as modern glass blowing. Venice - Often renowned for their creativity, ingenuity, and modernism, in the 16th century Venice gave birth to the beautiful and often elaborate mirrors we have come and know to love today. With Venetian mirrors given the name of ‘the purest mirrors in the world’, the popularity was growing and was sought after all over the globe. 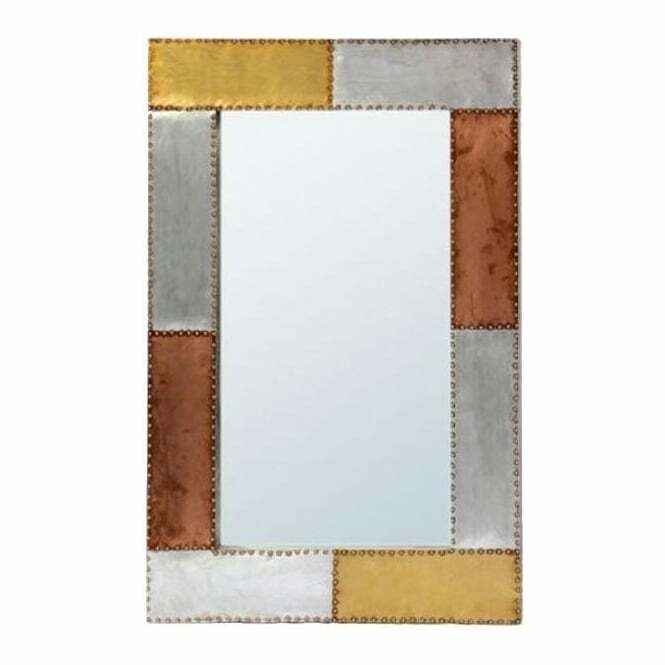 This inspired the current reigning queen of France, Marie De Medici who adored these mirrors so much she wanted an office full of mirrors on every wall possible. As time moved on and modernist furniture designers wanted to be at the forefront of innovative designs, it didn’t take long for them to start using mirrors to create mirrored furniture. 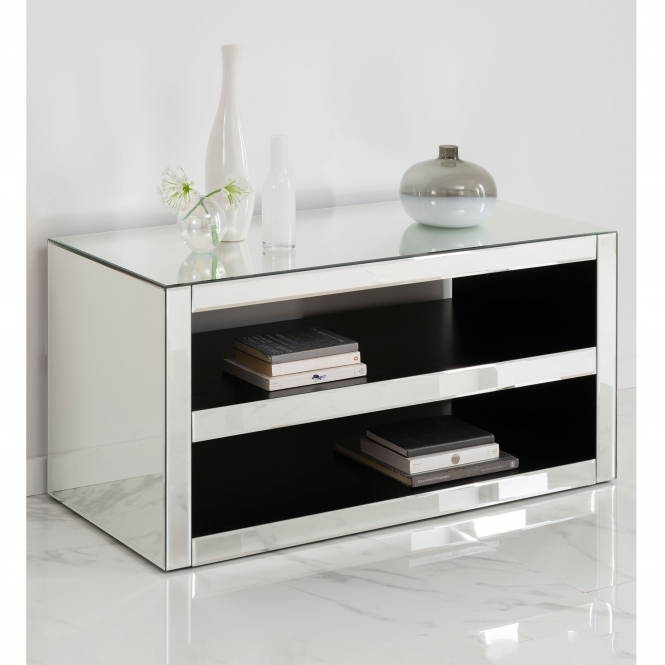 Heavily influenced by the art-deco movement, glass was placed on the side and surfaces of furniture pieces. 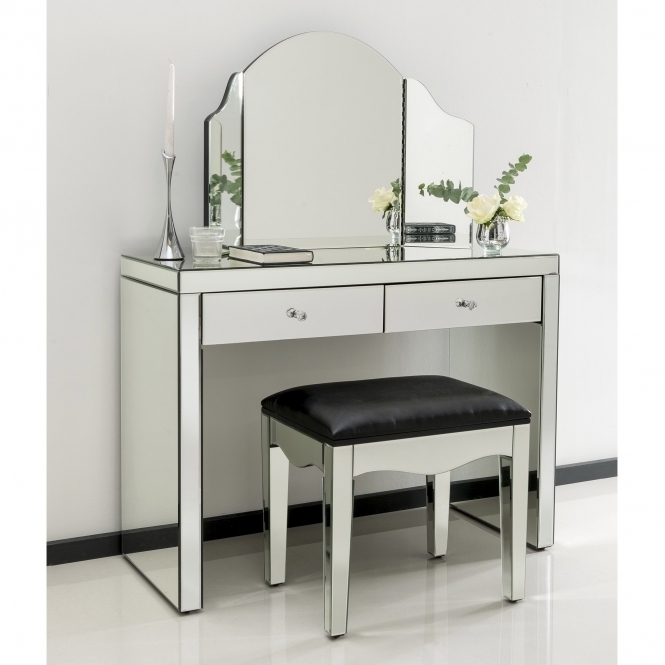 Heavily inspired by the Venetian period, the Romano crystal mirrored furniture is a clean-cut simplistically designed furniture range with subtle and elegant detailing. Carefully crafted using clear cut glass panels and natural wood, this range is ideal to brighten up any room. 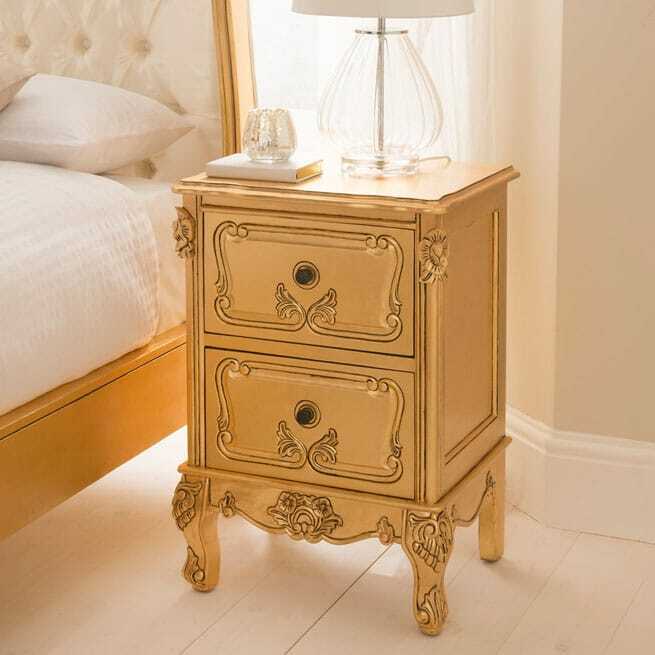 Whether looking for simple decorative pieces such as the jewelry box or a more elaborate full bedroom range including bedsides, chests, and even wardrobes, mirrored furniture can give the appearance of a bigger and brighter room adding style and elegance in abundance. It doesn’t stop at bedrooms either… from beautiful uniquely designed TV cabinets to practical cabinets and pedestals. 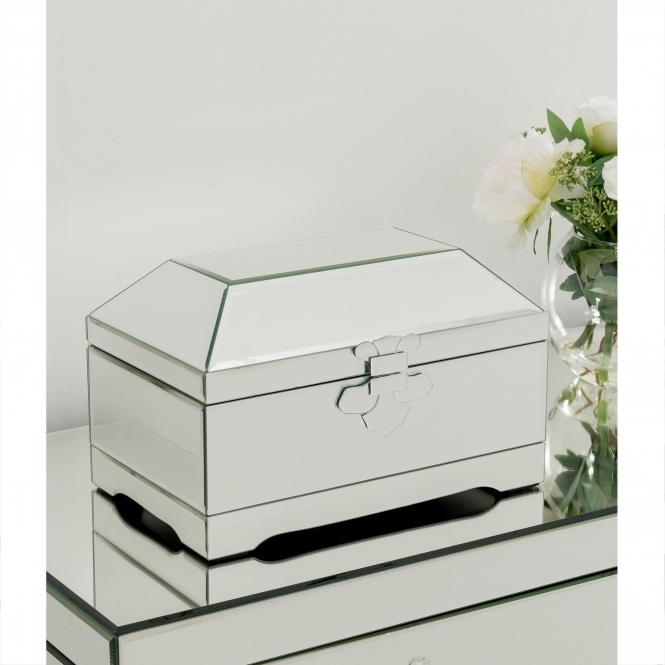 The Romano crystal collection, exclusively available from 'homesdirect365' caters for the modernist inside all of us! Finding the right colours is hard, very hard. It’s often a painstakingly long task that can take months to come to a firm decision! If you are like me, then you probably know the feeling of an overwhelming abundance of choice. In this day and age, we have the option of aesthetic choice and colour for most purchases. Just last week, I had finally chosen a new car, brilliant! But with the plethora of colours available, I was stuck. Do I opt for the classic white or black car or choose a more vibrant colour, a deep blue? a cool racing red? or go for gold? I did in the end, opt for a practical black. Well, it would save me having to wash it every time I took the dog or the kids out in it! 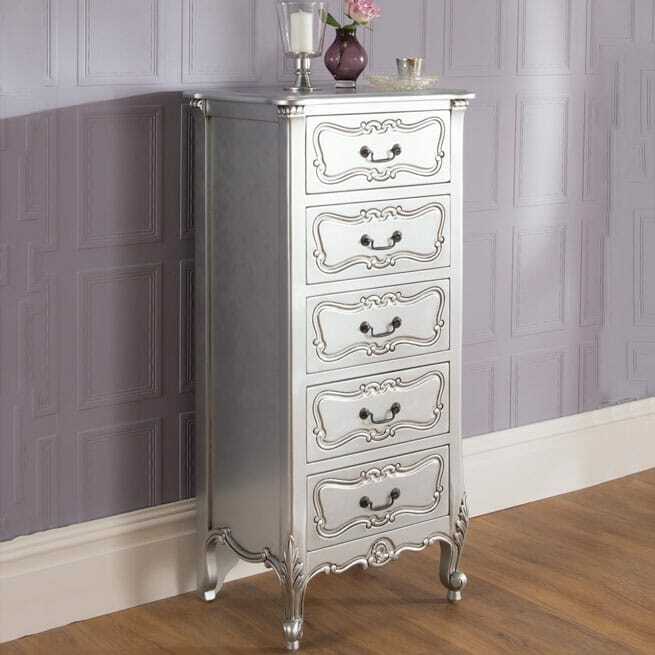 With furniture, however, especially shabby chic furniture it can be a totally different story. Choosing the right colour is paramount and fitting it in with your current interior can be vital. It would look slightly odd having a bright blue bed in a vintage French style bedroom! 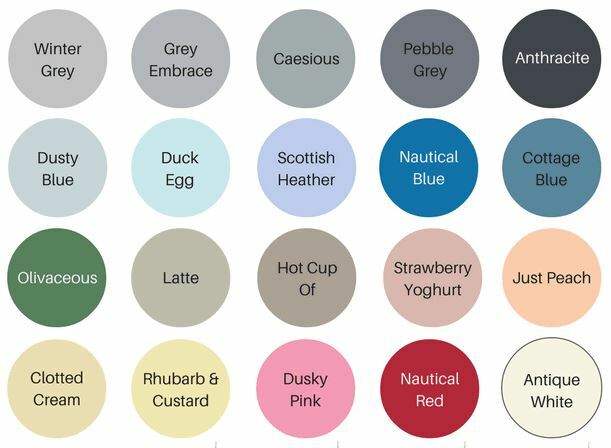 Follow our simple yet very effective guide and colour palette below to help you choose the perfect shabby chic colours for your home. A very good starting point is to have in mind a selection of colours to choose from. 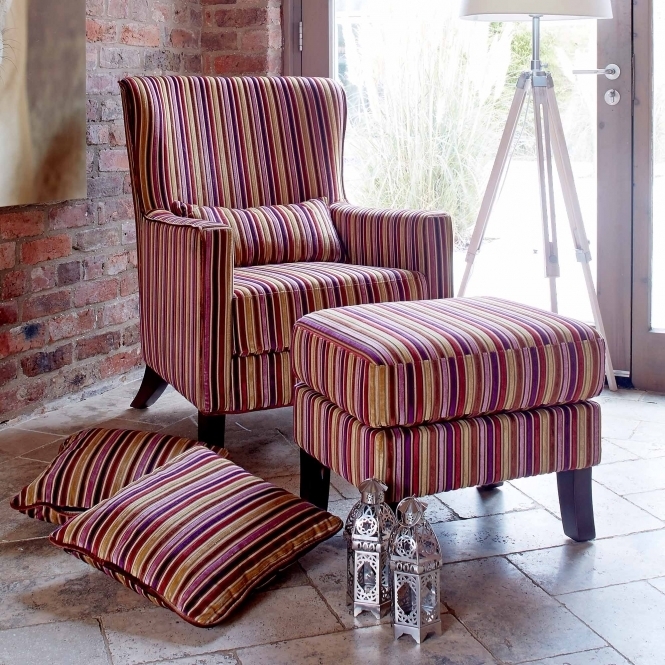 Having a colour set in mind is perfect when looking to match a new purchase or invigorate and update a current piece. 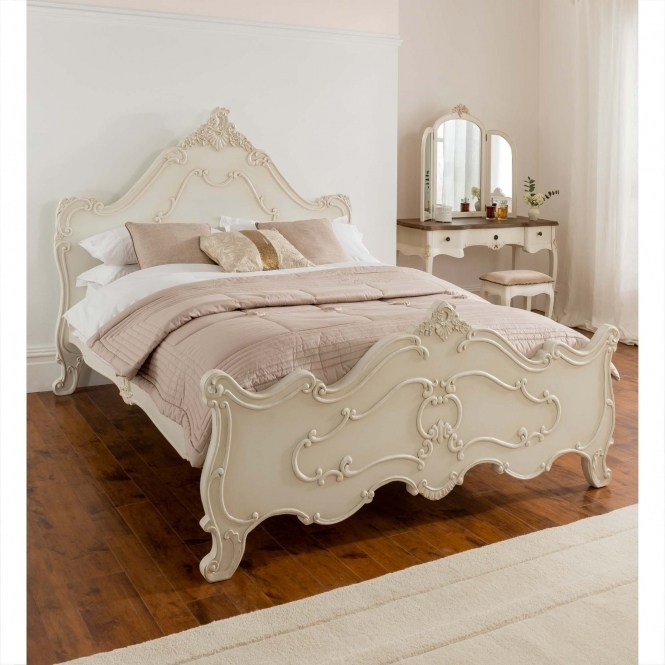 Take the above colour palette, using these soft and neutral colours are perfect for almost any shabby chic furniture. They are very soft and have a vintage cottage appeal to them. 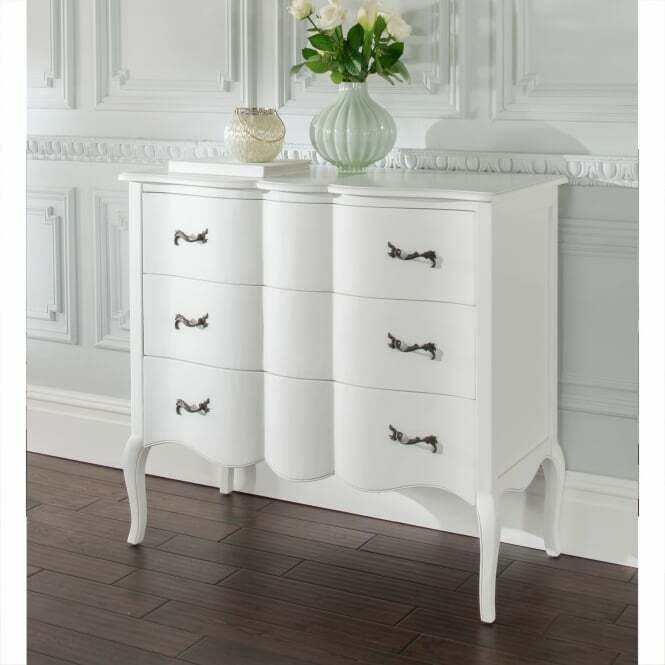 Have a look below at some beautiful furniture pieces from www.homesdirect365.co.uk for some inspiration. Colour schemes are also paramount when choosing how to accessorise your home. For the shabby chic look, opt for accessories using the palette above – this will ensure a constant country theme is kept in mind. One of our favourites is the duck egg table lamp, this beautiful piece won’t look out of place in any setting, slotting into any shabby chic décor perfectly whilst also adding practical charm. Nothing beats fresh sheets or bedding! 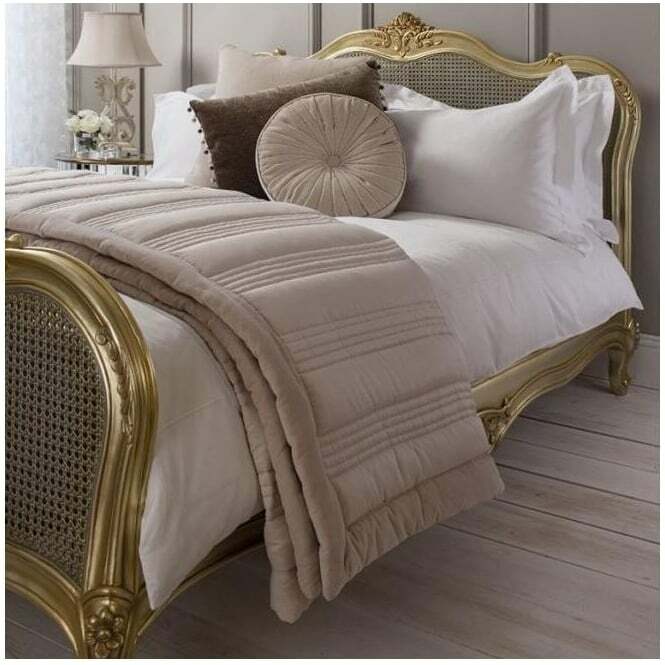 Now you have the perfect excuse to update your bedroom bedding, be sure to take into account the colour of them. Stay away from very dark colours and opt for very light, soft and neutral colours, colours that you would typically associate with a country cottage theme. This will ensure your shabby chic bedroom will look very stylish and co-ordinated with the famous shabby chic country cottage style. 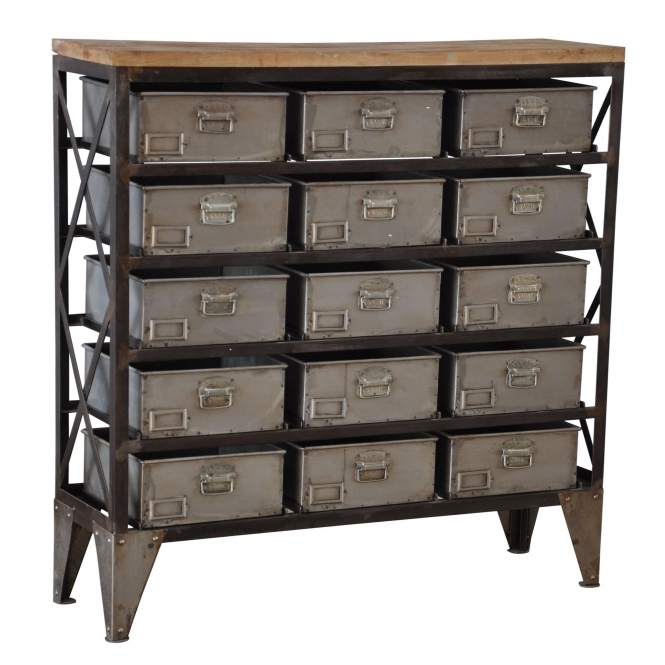 Looking to decorate your home in the highly sought after and beautiful shabby chic style? 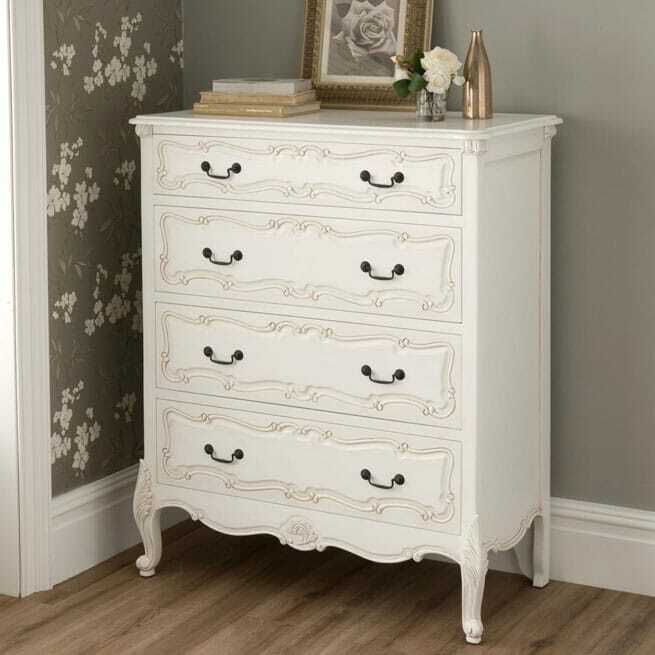 Then be sure to check out Homesdirect365 for some of the most beautiful shabby chic furniture pieces around. 15 years ago we all used the word ‘eclectic’, now we’re into the ‘industrial style’ furniture design, but one which is often thrown around is, ‘Shabby Chic Furniture…’ Is it a buzz word like the aforementioned? We often hear many buzz words, most of which can last a matter of weeks or months. But is shabby chic one of them? The term was excessively used in the early 21st century to give a name to the popular distressed, aged and historical style furniture. These extremely popular furniture pieces were effectively given a new lease of life with purpose. ‘Shabby Chic’, a term which is used very frequently in this modern day and age, but is it here to stay and will it last the test of time? 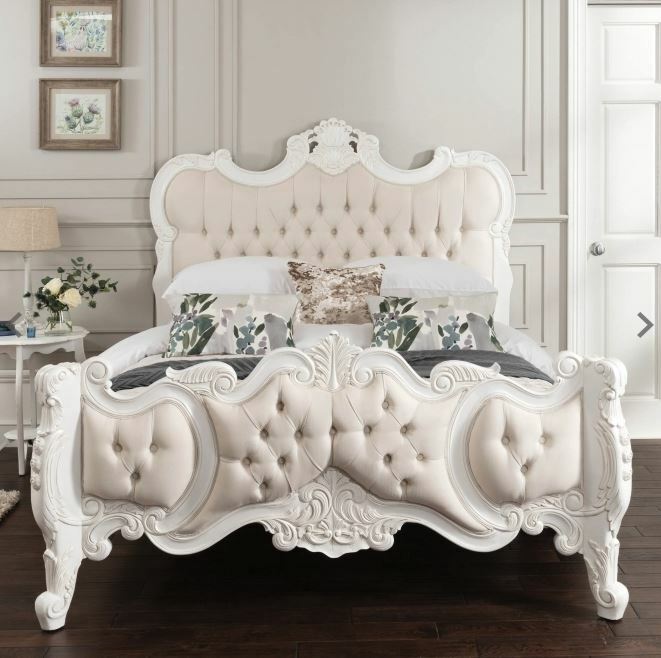 The word ‘vintage’ has stayed strong for generations, but with shabby chic’s new lease of life, these two very similar terms have been used coinciding with one another to create a full new furniture design trend. In the not so distant past, you will have noticed all the fuss and buzzword was about being ‘minimalistic’. White, white and whiter… plain blank walls with not much individualistic to them. If you were to stay in a newly built or decorated hotel, you will have noticed they all practically looked identical, all looking very bland with none having any character. The hallways and carpets often consisted of pale and very neutral colour with the sparse pictures hung were usually very plain. Looking back this doesn’t sound appealing; however it suited the times and the trends very well – it suited the popular bleak minimalism focus of interior design. Minimalist hotel and furniture design style décor have taken a few post-recession years to fully disappear, but it is definitely history and won’t be making a return anytime soon! Phew! Goodbye minimalist and hello creativity… as we grow as a culture, we strive for individuality, to express ourselves in a creative outlet; thankfully furniture design and décor has given us the ultimate platform. From abstract designed furniture pieces to a colourful and vibrant colour scheme, people are now actively collecting beautiful vintage, recycled and retro objects and using them to create their very own unique décor scheme. Be it a simple distressed window-sill ornament or a fully upcycled bedroom suite… DIY and décor are back. Décor these days has moved away from the modest social status and is now more about personality, a reflection of your personality. 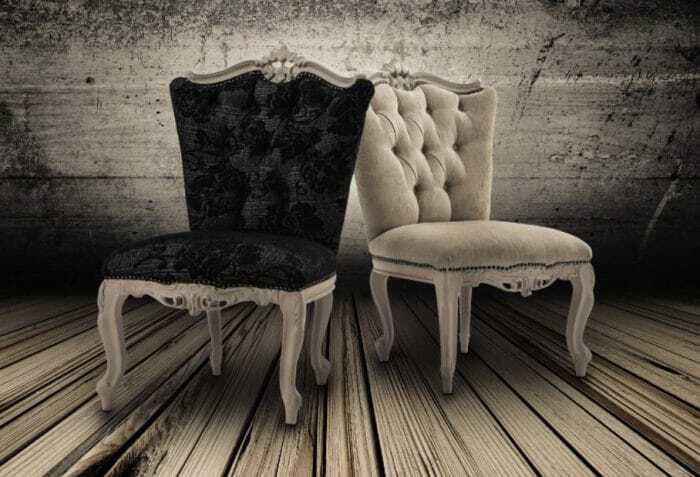 With shabby chic consisting of a wide style and variety of décor designs, it’s fair to say that shabby chic furniture style is here to stay. 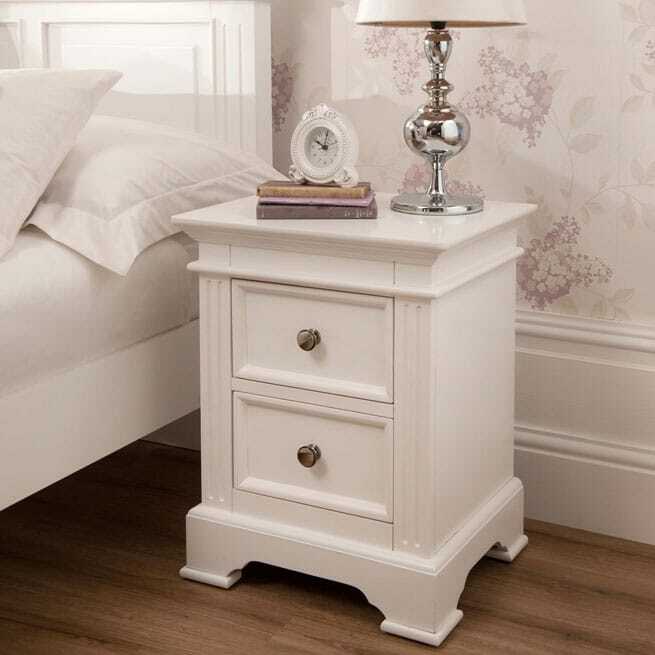 Well, shabby chic or shabby chic bedroom furniture is pretty much down to personal preference and can generally be characterised by a worn, aged and distressed yet beautiful appearance. 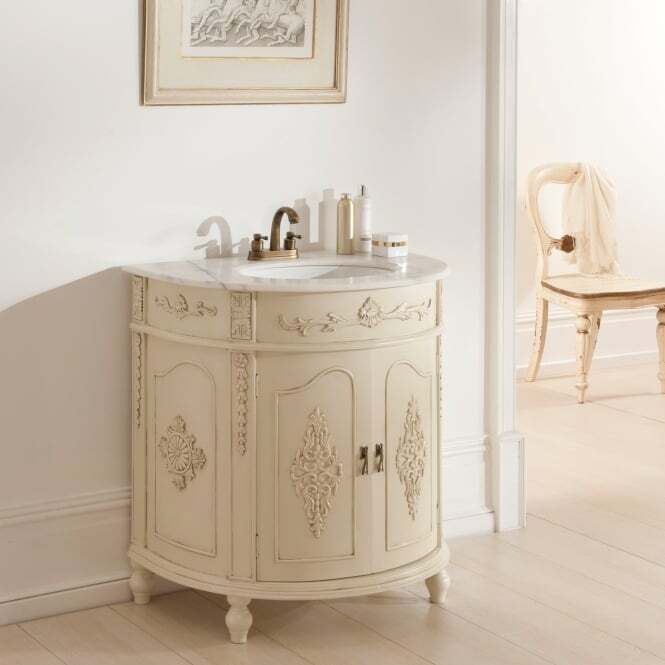 Historically it was very similar to antique French style furniture, with exuberant and ornate detailing. 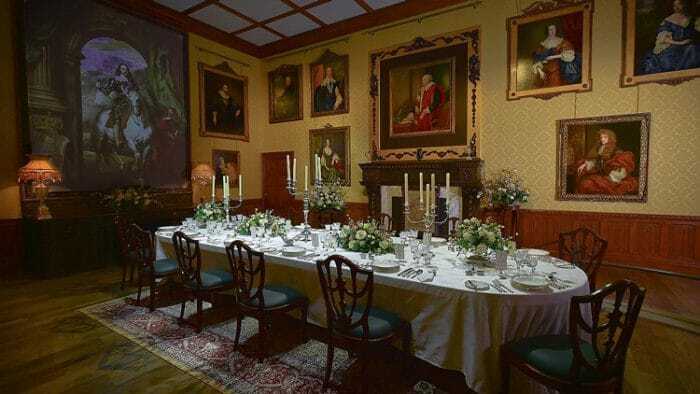 Think of the famous rooms in the TV-hit series Downton Abbey, the furniture pieces used are certainly not bland. As centuries went by it became more aged and rustic looking, often consisting of many paint layers and sanded down to achieve a distressed look. Also sometimes known as farmhouse or cottage style, the colours used are often very warm and friendly and can vary between pale pastel colours such as blues and reds to a more textured oak appearance. The initial thought of decorating a full room in shabby chic furniture might seem like too much for some, so decorating and striking the balance between distressed country farmhouse with some fresh and new pieces can look utterly stunning. That’s not to say anything is wrong with a full shabby chic décor, in-fact it can epitomise the old English country cottage appearance. The 2006 romantic film The Holiday, written and directed by Nancy Meyers used this style for Kate Winslet’s old English cottage, Rosehill Cottage. The interior has been decorated using a full shabby chic design - from the old fireplace guard to the beautifully looking rustic bookcase. Here’s the great news… there is no set or a defined way to incorporate this beautiful style in your home. You could simply opt for a few delicate shabby chic ornaments or you could go the full haul and have all your furniture shabby chic. Go big or go small, that’s the wonderful thing with shabby chic furniture, it can look absolutely beautiful no matter how little or how much of it you decide to use. 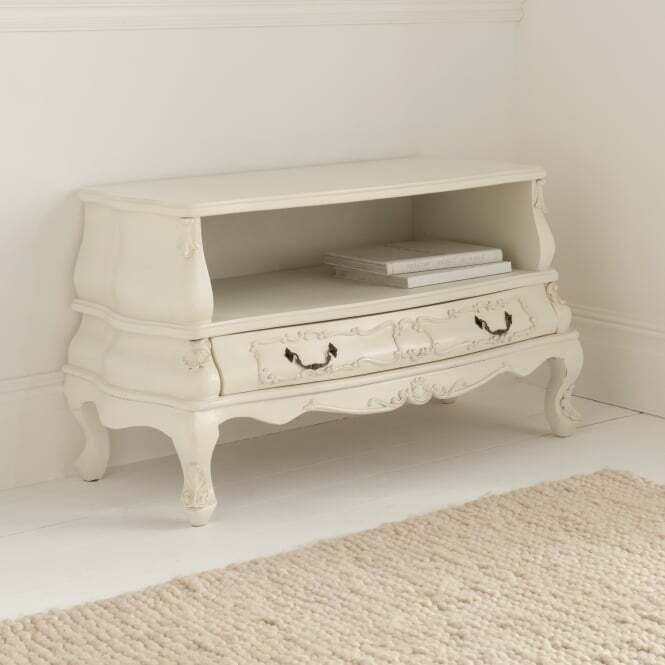 From a little quaint console table to a full room, the choice can be down to your preference. So experiment and look at furniture pieces that are individual and reflect your personality… or you could even design your own! SHABBY CHIC: WHAT IS IT? 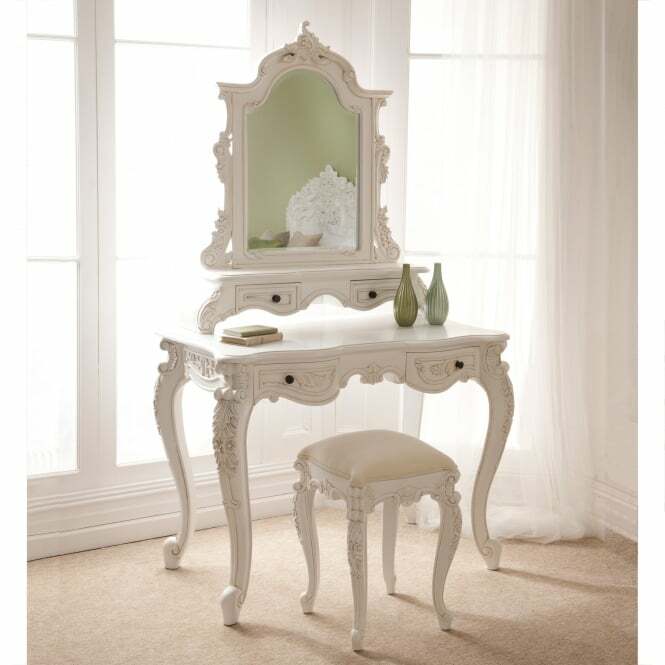 Shabby chic furniture has a unique design that has found favour with numerous interior designers over the years. This is a style centered on furniture pieces and accessories considered appealing because of visible wear and tear among other signs of age. This technique may incorporate either genuinely period pieces or new accessories but deliberately distressed and crafted to exhibit a "worn" look. 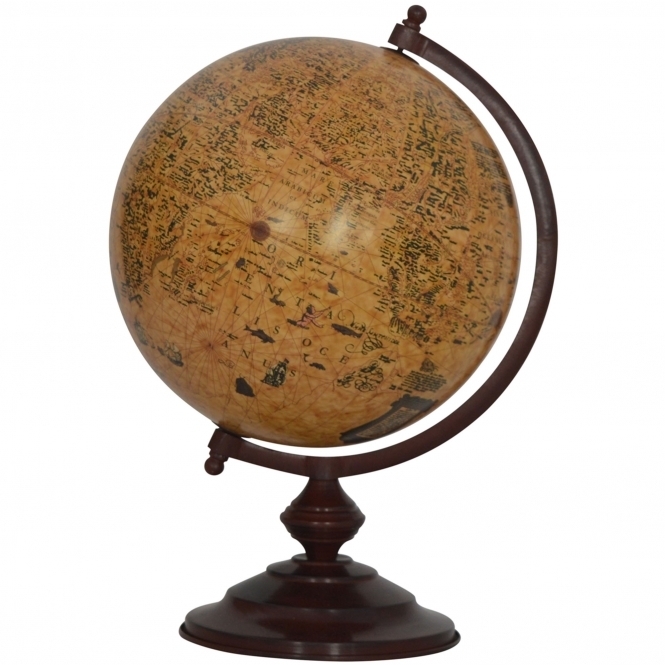 Aside from looking weathered or aged, these items usually share a particular style such as being soft, being decorative and ornate without appearing too imposing or grand and or create a homely feel. 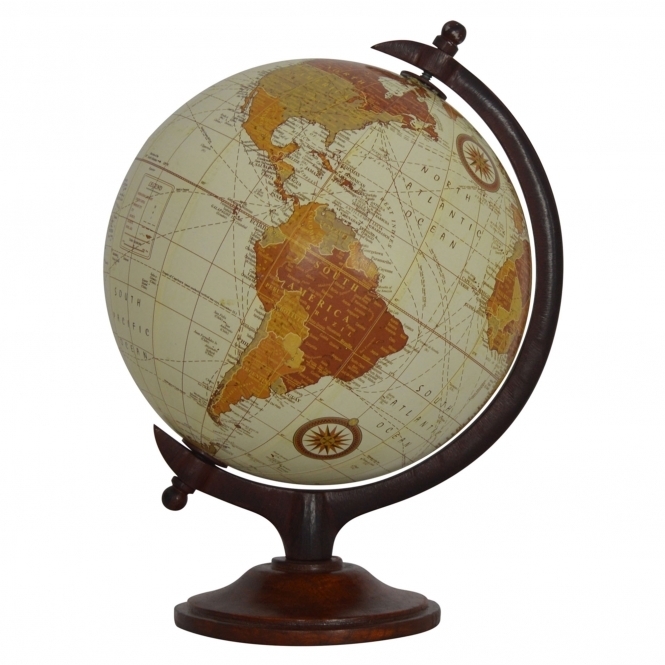 In general, these style exhibits more of a vintage than typical antique look and features more creative and quirky combinations rather than the usual trait of a stringent historical style centered on a precise period as is with antique pieces. "Shabby Chic" was first mentioned early in the eighties in Britain by one designer in an interview with an American magazine "The World of Interiors". In that period, the world was starting to see a new wave of decorative styles centered on paint effects and paints whose origin was in Britain. Rachel Ashwell, a then renowned designer, used this same term in describing her style in the eighties when she came to America and its popularity gradually grew so significantly that she not only adopted it as her business name, but she also trademarked it later (in 1989). By then, this style was widely popular on the American West Coast region in areas such as San Francisco and LA. There, different interior designers sought inspiration from different Mediterranean styles such as seen in Italy or France and were influenced by both the Louis XIV style antiques and the splendor of the French state living style. Currently, with the freshly renewed interest in vintage, Shabby Chic has quickly assumed more relevance than ever and are now finding constant use in modern homes. Why? You can quickly create or bring them into your home even without any significant DIY experience. 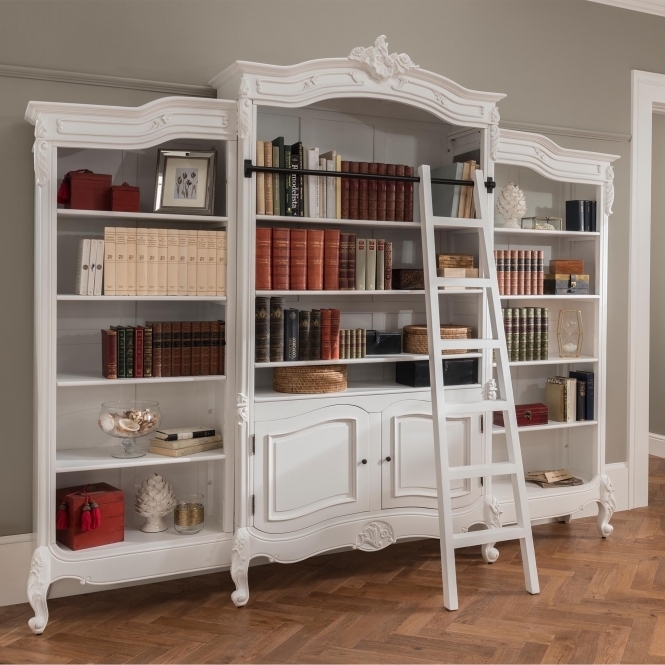 Nowadays you can "chic up" old furniture pieces such as a wardrobe, table or chair by using a white color ranging from warm cream to bright white. 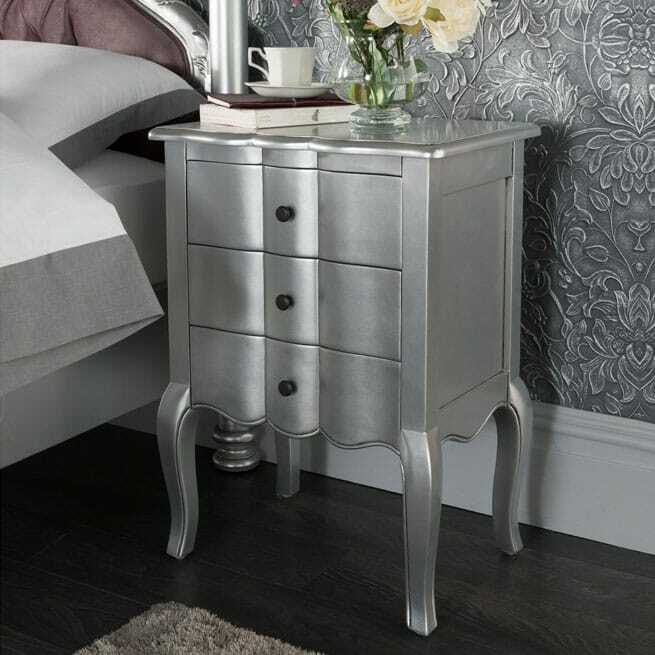 What’s more, elements of this striking and unique style can be combined easily with typical home décors like sliver accents, shabby chic mirrors, mirrored tables, and appealing furniture pieces to inspire a revamped interior design in any room in your home. Its popularity in modern homes is just due to its simplicity-it requires no pristine condition. Say several yellow curtains, a hole here, or a stain there, just to add a spark to the feel. For anyone seeking to upgrade a room in their home in an entirely new style but are short of funds, Shabby Chic is among the most cost-efficient means to decorate a home. Contrary to numerous interior design styles that are quite popular today, this technique requires no "special" expertise. Shabby Chic is typically a timeless design deficient in official rules. This style calls for typical furniture accessories and pieces to exhibit an appearance of not just age, but regular wear and tear characterised by pastel-based colours across the room.